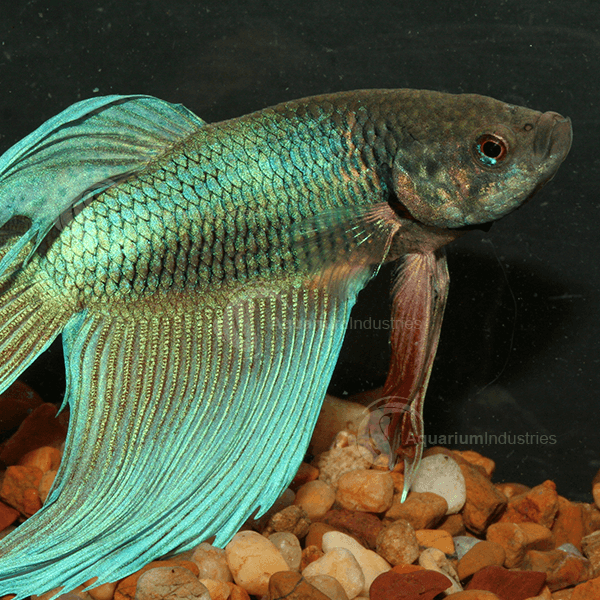 The Crown Betta has become a very popular tail type variation. The rays are extended to altering degrees on all fins giving the fish a spikey or ‘crown-like’ appearance. 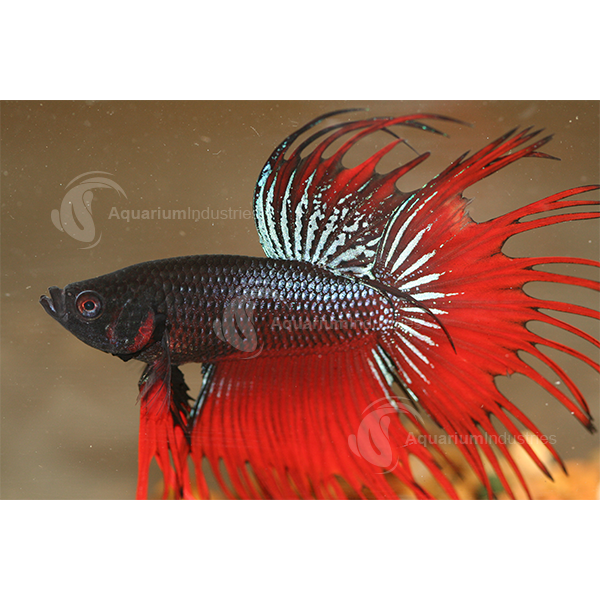 Siamese Bettas are often the first pet fish for many people, as they are colourful and quite easy to look after. 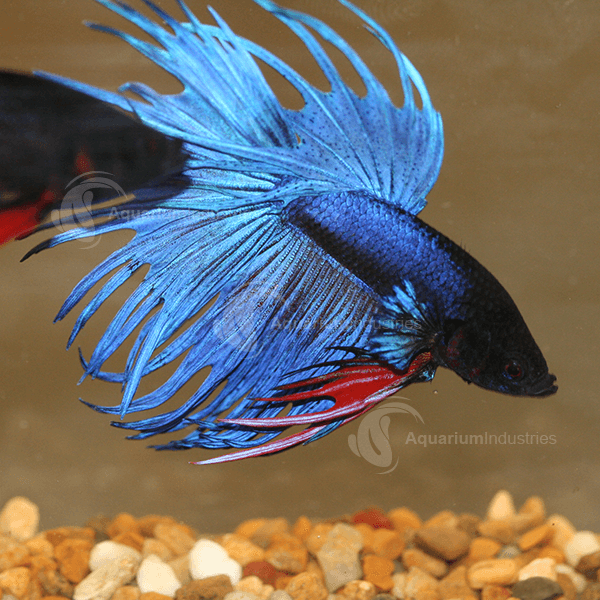 Siamese Bettas have been selectively bred for many decades, resulting in a wide range of colours, tail types and patterns, making them one of the most exciting and fascinating fish to keep. 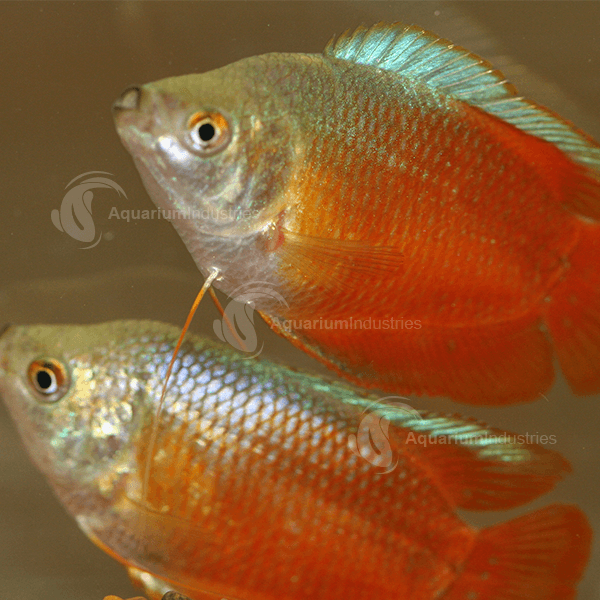 Males are distinguished from females by their longer fins, larger frame and, more brightly coloured body. They are aggressive towards other males. 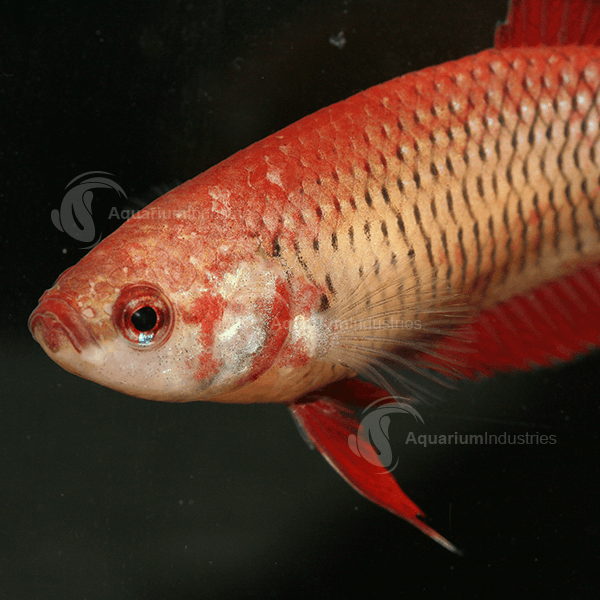 Female bettas are smaller in size and much less aggressive. 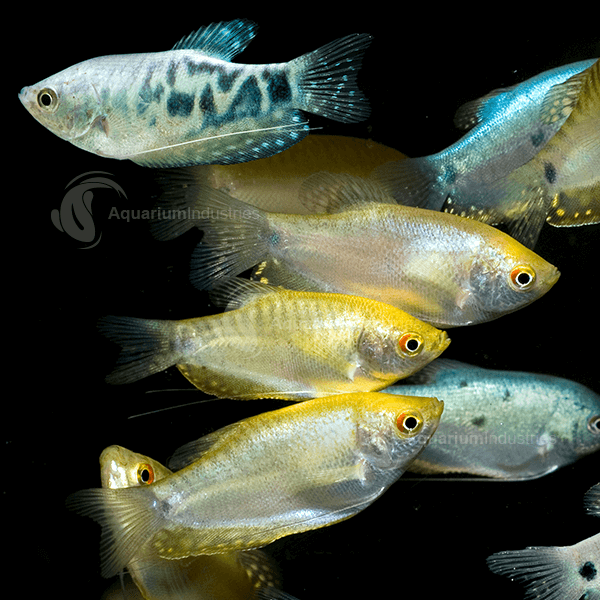 Although their bodies are still colourful, their vividness is less impressive than their male counterparts, and their fins tend to be more rounded and smaller. 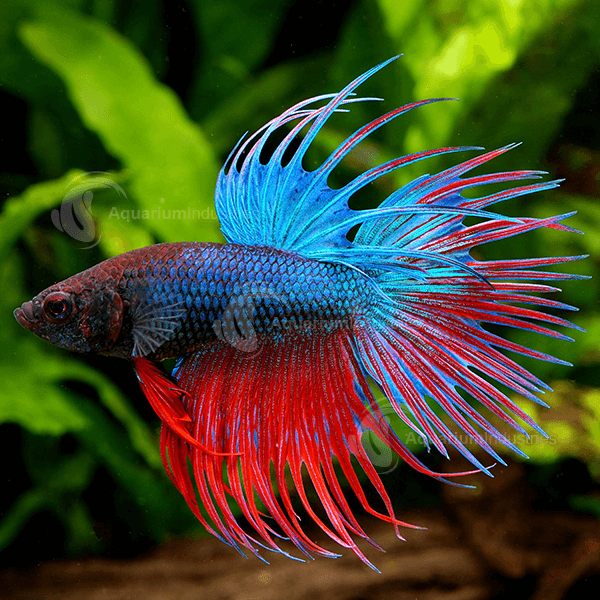 However female bettas are a great addition to a community tank.